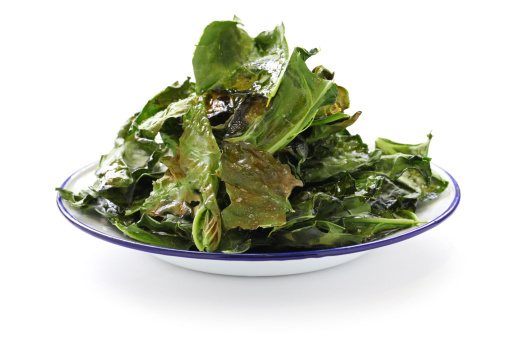 Kale chips are a great-tasting, crunch-satisfying alternative to fatty potato chips. Try this quick and easy kale chips recipe to be on your way to a healthy snack-attack in no time! Allow kale to bake for about 10 minutes, or until crunchy. Mix kale and olive oil together in a medium sized bowl. Place kale onto a baking sheet.